As of this morning, our house is actually getting fixed. A true miracle. No less than seven men in high-vis vests appeared at the front door, ready to start chipping away at the old-new blocks we are using, to bring them up to laying standard. 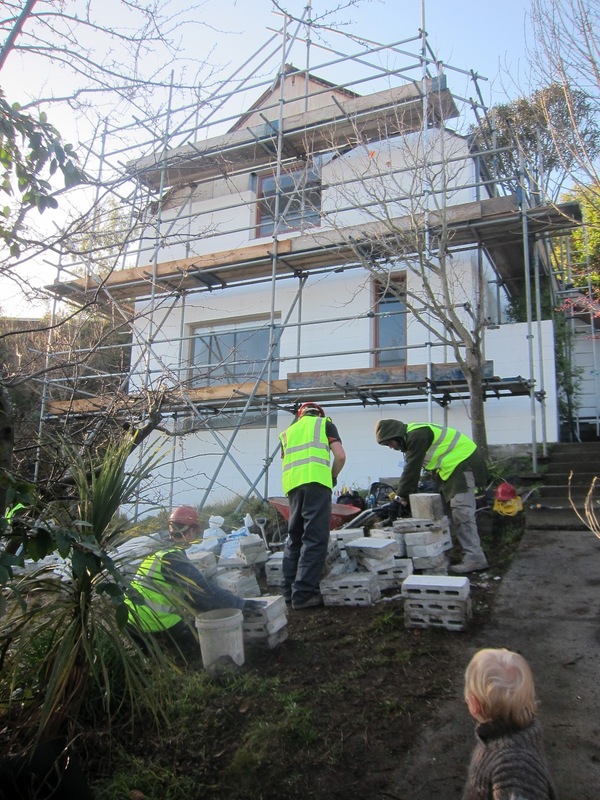 Meanwhile, out the back of the house, they are busy chipping back the cracks in the mortar, for re-pointing. I keep checking in on y'all hoping there will be something new to see. Yay for progress! We are officially a construction site..